It was picture day in the academy a few weeks ago. My busy bees. Love them so much! What is the collective noun for a group of teachers? 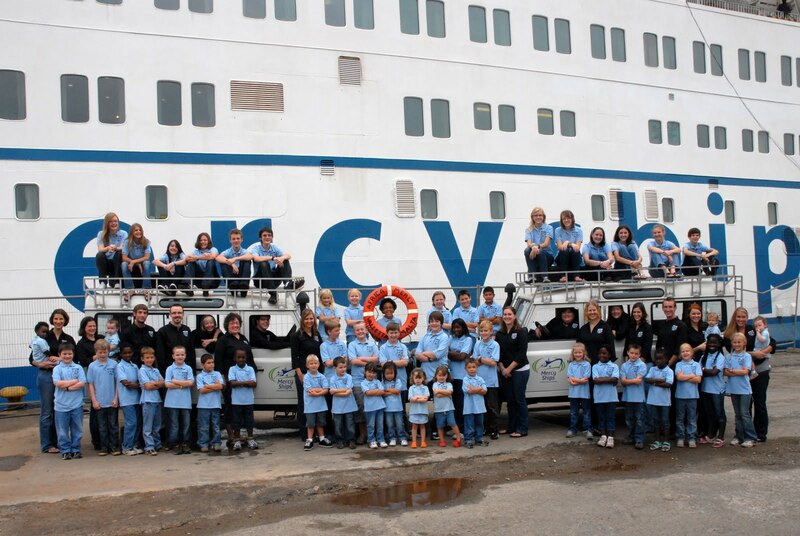 Last month the junior high and high school students completed a work experience assigment on the ship. Each year the students apply for a position that they would like on the ship. This year students worked in the post office, the academy, in sales, at reception, in the hospital, in the dental clinic, as photographers and writers and even as officers. Five-year-old Emmanuel loves football, Ninja turtles, playing games with his buddies and all the other things little boys like to do. He is also a member of the children's choir at his church. "He's a boy who likes to sing," said his father, Daniel, with obvious pride. Three years ago, Emmanuel's face suddenly swelled. He was taken to Children's Hospital, but after three weeks they still had no idea what his problem was. The doctor prescribed several kinds of medicine, but Daniel had no money to pay for them. One day, Daniel heard that Mercy Ships was on its way to Sierra Leone. He decided to do everything he could to take his son to the medical screening. When they arrived, they sat on bench in front of the containers on the dock, waiting patiently for Emmanuel's turn to be screened. 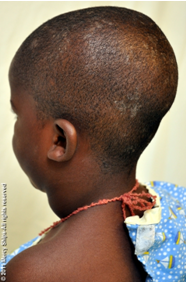 The little boy's beautiful face was marred by the growth on his left cheek that extended down to his neck. But when he smiled, his dimpled cheeks glowed and his big brown eyes sparkled. Their patience was rewarded when Emmanuel received the coveted appointment card for a surgery. When the anxiously awaited day arrived, Emmanuel was admitted to the onboard hospital. Even though he was scared, he was very brave as he was wheeled into the operating room. His father was also nervious. He waited in tears outside the operating room's door, with a nurse holding his hand. "I have never experienced anything like that," he confessed. "I prayed all night. I thought my son would never come out of the surgery." But Emmanuel did come out - with a bandage on his head and a smile on his face. Daniel heaved a sigh of relief. Both father and son were delighted with the results of the surgery. "There will be no more taunting now," Daniel said. Emmanuel's friends would no longer be able to laugh at him because of the growth. The little boy could start school with all the confidence a five-year-old should have. In a few days, the dressing was removed and replaced by thin adhesive strips. "I'm glad they took off the bandage," said Emmanuel. But he wanted to stay on the ship because he was enjoying all the attention from the nurses. Nurses in the ward taught Emmanuel to wink. He calls it his little trick. But when Emmanuel was discharged, he left with a brilliant smile. "I thank God to have the operation!" said Emmanuel with an impish grin. "Now, I can play ball!" Watch this Mercy Ships Connections video to see more of what has been happening over the last few weeks. It's hard to believe we have been here for almost a month already. Click here to see our arrival in pictures. Thanks to the Mercy Ships Marketing Team for creating this video! There are so many emotions attached to the Monday's events. I was there but not really. Those of us assisting potential patients inside were unaware of what was taking place outside the gate. We kept hearing that the crowd outside was massive. We had no idea. Please read the events that transpired on Monday from Deb, a nurse and friend who experienced it first hand. 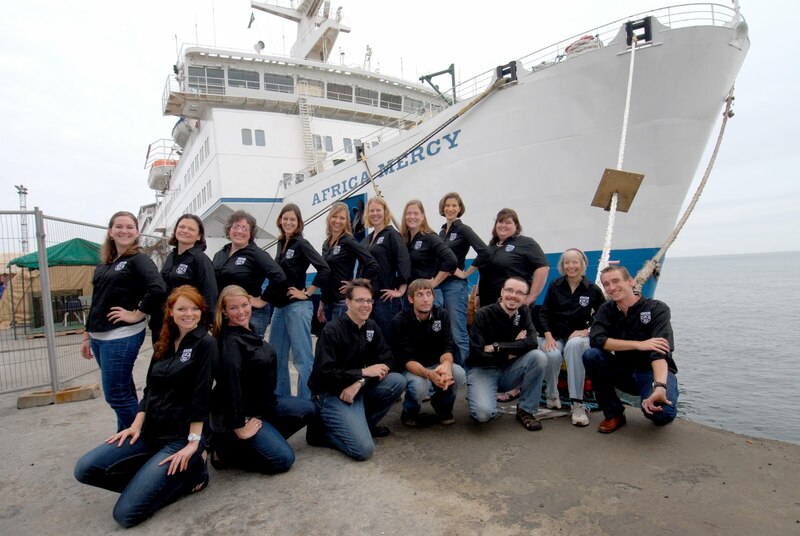 The statement released by Mercy Ships explains the events at screening day on Monday, 7 March. This day usually filled with hope ended sadly. Mercy Ships is deeply saddened by the tragic events that occurred today during medical screening at the Freetown National Stadium when a crowd stormed the gate resulting in several injuries and one life lost. Mercy Ships personnel working at the site attended the injured and accompanied them to local hospitals. "Our hearts and prayers are with the individuals and families of those affected by today's events. The occurrence of this incident in the course of activities intended to restore lives is tragic. We move forward with tremendous sadness, but great determination, to assist as many people as possible in the next ten months," stated Mercy Ships Founder, Don Stephens. Mercy Ships exists to serve the forgotten poor and has served Sierra Leone five times over the past two decades, also helping establish two land-based health care facilities. For the next ten months, Mercy Ships will be providing surgeries for qualified patients while working alongside the Sierra Leonean Government to support its five-year healthcare plan and strengthen the functions of the national health system.